We are confident that the Omron products you purchase will be suitable for your application. Should you wish to return any items for any reason, please contact our Sales Support Team directly for agreement to receive the items back. 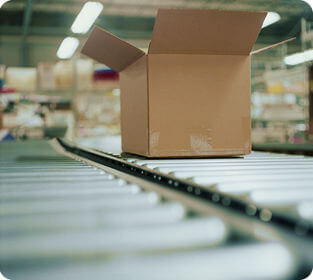 For items purchased through an Omron distributor, please contact them to arrange any return. Thank you. Any product return must be authorised by Omron. We will issue a returns authorisation number and return form that must be sent with the product return. The product must be returned in its original packaging, which must be clear from any additional packing tape or markings of any kind. Cables either connected to product or loose must not be cut or altered in any way. All instruction or user manuals supplied with the product must be returned with the product. The lot numbers on the product and the outer packaging must match. Any product returned must have been supplied by Omron within the last 12 months. Products must be standard stock items, special order items may not be returned. Where applicable all product must be returned with factory default set-up. Where applicable all custom installed software must be removed prior to return. Each return may be subject to a handling fee, which can be advised on request when speaking to our Sales Support Team. This handling charge is dependent on the return meeting the above conditions and may vary when items are received and inspected. Omron reserves the right to refuse items that do not meet any or all of the conditions above.